Great companies need outstanding employees in order to grow. The problem is finding and retaining that caliber employee. Most small businesses don’t fully understand the process of hiring top-notch employees. Many make the mistake of hiring an employee without clearly thinking the process all the way through. They neglect to think about what they actually want from the new hire. Hiring in this way sets the new employee up for failure before they ever walk in for their first day of work. This turns out to be a waste of time and resources for everyone. 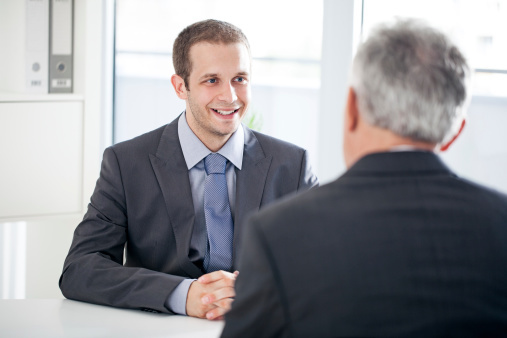 To help avoid this, you need to go through the interview process. The first and most critical step is to write an advertisement that attracts great people in the first place — one that encourages the kind of candidates who want to work for your company. Thinking this through will also make you consider the short-term and long-term responsibilities and tasks required for this position. The challenge of finding great job candidates starts with the ad itself. Mediocre job ads attract mediocre workers. To improve your placement ad, you should incorporate the following in the description. Make your company sound innovative and interesting. This will help attract more dynamic applicants who want to work for a fascinating company. Let the applicant know with whom they will most likely be working. Candidates will look forward to learning from someone who is the expert in their field. If the location of your company is a plus for applicants, make sure to mention it. The more benefits you can mention in the ad, the more attractive your ad becomes. Make sure to mention that the position offers growth for the right candidate. Everyone wants to know that they can grow with the company. This also implies that they will be able to make more money as they grow. Include the total compensation and benefits in the offer. Paid holidays, flexible hours, and other perks can be very attractive. Mention that the position requires hard work and dedication. This can help filter out the lazy applicants before time is wasted with the interview. The ad should stand out from all the others. If you want creative, superstar applicants, the ad should be creative, too. Finding and retaining top talent is one of the most important tasks for any growing company. A strong recruitment ad is just the start but one that can’t be overlooked. Include these tips in your next ad, and hopefully you will attract the type of superstar employee you desire. This entry was posted on August 21, 2013 at 2:36 pm and is filed under Uncategorized. You can follow any responses to this entry through the RSS 2.0 feed. You can leave a response, or trackback from your own site.